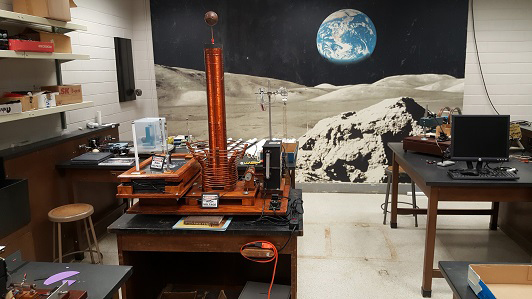 The Advanced Physics Laboratory serves as a specialty lab that provides a research opportunity for Physics majors within the department to acquire experience in the research, development, and implementation of experimental setups. 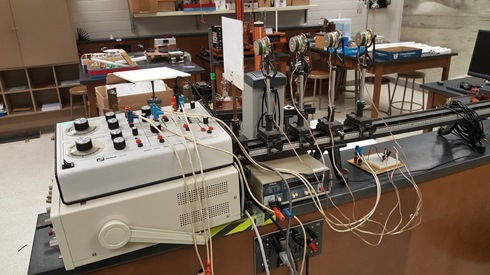 A variety of technical equipment and resources are available to our Physics Faculty and majors with courses set up for the direction of hands-on experience in Experimental Physics. 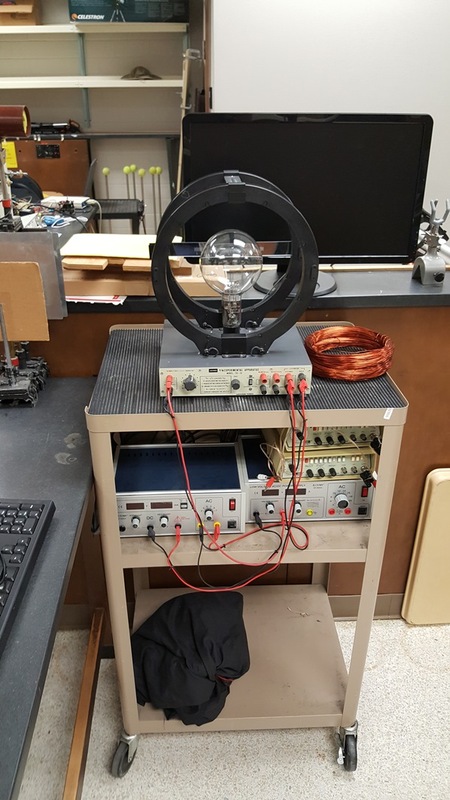 Advanced Physics Lab provides opportunity for Physics majors to explore the profession of research and development of apparatuses and experiments for enhancing the vital skills necessary for a successful career in Physics or Physics - based professions. 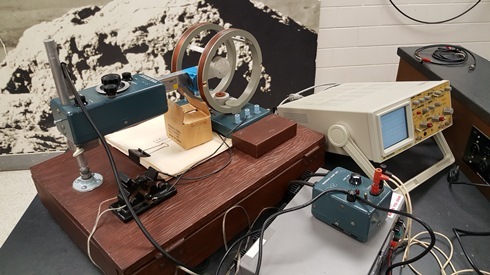 Interferometry with Microwaves: The principles of Michelson - Morley and Fabry - Perot Interferometry can be applied to all forms of EM Radiation beyond visible light. 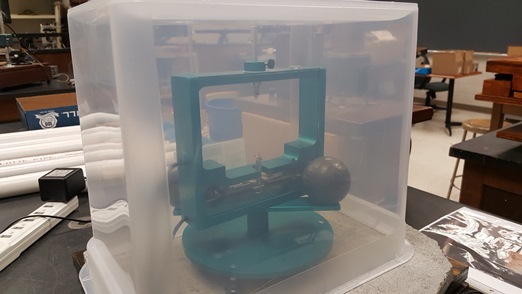 Cavendish Experiment: Explore the pre-Relativity world of Physics with a modern version of a late 18th-century invention to measure the value of Newton's gravitational constant 'G'. 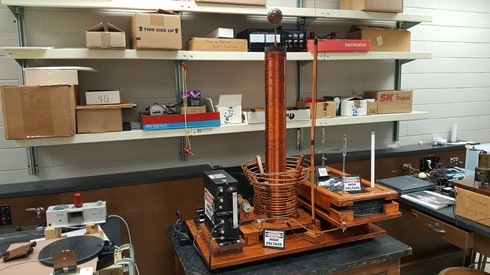 The Spark Gap Tesla Coil: A wonderful design variant of Nikola Tesla's invention. Sound Diffraction and Interference: The technique of constructive and destructive interference with EM radiation is applied to this experimentation involving sound waves. 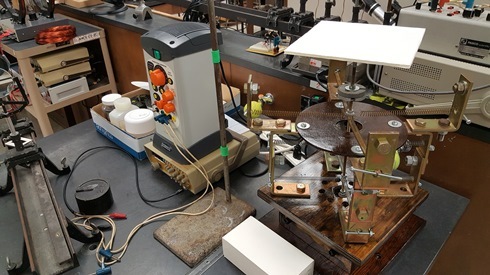 Experiments in Mechanical Oscillations: Explore the realm of Mechanical Systems and the complex wave patterns with light and Newtonian forces. 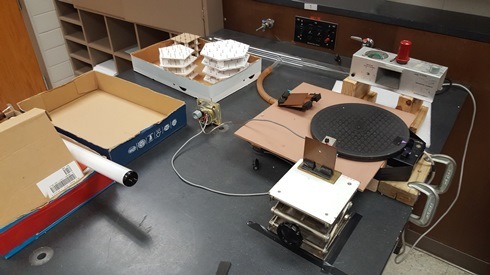 Applications of Monochromators: Studying specific frequency ranges of EM radiation emission. Explore the Physics of Electron Spin Resonance: ESR Experiments with unpaired electron spins with different source materials and advanced circuitry. 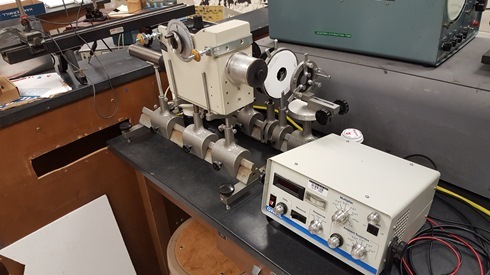 Charge to Mass Ratio of the Electron Experiment: A fundamental physical parameter of electrons applied vary widely in Physics from the design and construction of electron microscopes to state-of-the-art particle accelerators. 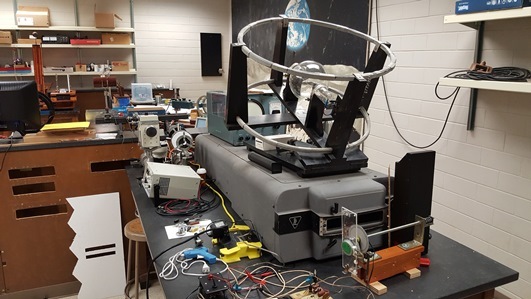 The list of current investigations is available for potential Physics majors and future faculty to explore deeper into the areas of research currently being undertaken at the Advanced Physics Lab.